Unknown Causes: Under certain circumstances, Cranky Kong’s Shop will react very slowly between each dialog message, and sometimes not at all, you will just have a faded out screen. To remedy this, you can press the Wii Home button on your Wiimote, then press it again to go back into the game. This will make the dialog boxes come up; however, you may have to perform this several times because of the multiple dialog boxes that can show up. Unknown Causes: Perhaps related to the Cranky Kong Shop Glitch, in this one, for unknown reasons, Cranky Kong will be invisible. 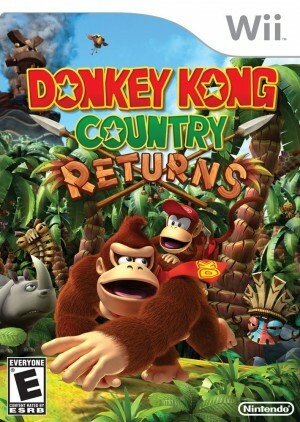 In this video, it appears the player is experiencing the Crank Kong’s Shop Glitch, and when he fixes it by using the Wii Home button trick, Cranky Kong reappears. Missing Information: In the video displayed below shows Donkey Kong doing an incredibly long jump off a mine-cart on to the attached mine-carts. Also related is after the jump, the video creator shows Donkey Kong ground pounding incredibly fast, which at that point, Donkey Kong shouldn’t be there yet anyways, which could be why that’s possible. The Cranky Kong’s Shop Glitch video is really well done for a “no voice over” video. It was very easy to tell what was going on. I never ran into this issue myself, but that’s kinda a weird one. The Invisible Cranky Kong was just crazy I have no idea why that would happen.